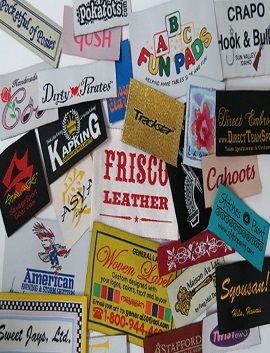 Our custom woven labels are available in sew on, stick on, or iron on applications. Damask weaving produces a high quality label, that enhances any garment. We print on quality standard fabrics such as polyester, nylon and simulated satin. Available in: sew on, stick on or iron on applications. Our stock list of care & content labels are ready to ship to you immediately. 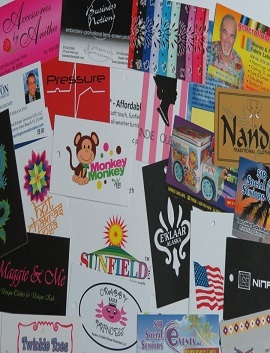 If your needs are not on our list, we can make your custom label – minimum 50 labels – for a very affordable price. 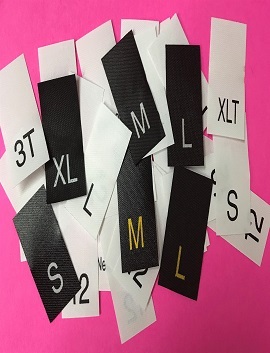 Size labels are a must in your clothing. We stock a wide variety of sizes, from infant to adult, that are ready to ship. Select your favorite designs from our list of 30. 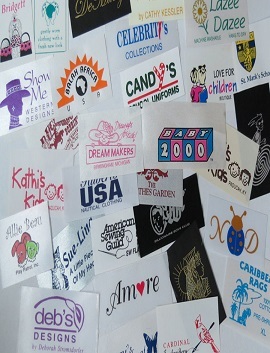 Choose one of our standard fabric backgrounds and a printed color for your label. Then add your name or message to the design. Our affordable business cards and hang tags are high quality printed leaving a beautiful impression on one or two sides of your card. Select the finish of your choice either glossy or matte. General Label Mfg. 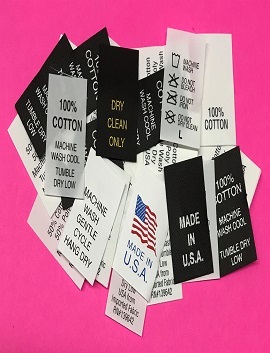 offers all types of quality fabric labels and tags for the apparel and textile industry, as well as home crafters and sewers. We are known as the "people's choice" for our excellent customer service with affordable prices and fast manufacturing. We take pride in our excellent customer service and do understand how important that is to continue to grow on today's internet. Most standard orders are manufactured within 15 working days or less. Small orders, as few as 50 labels are accepted. Our friendly and talented staff will assist you in English, French or Spanish with any questions you may have or to assist you in placing an order. 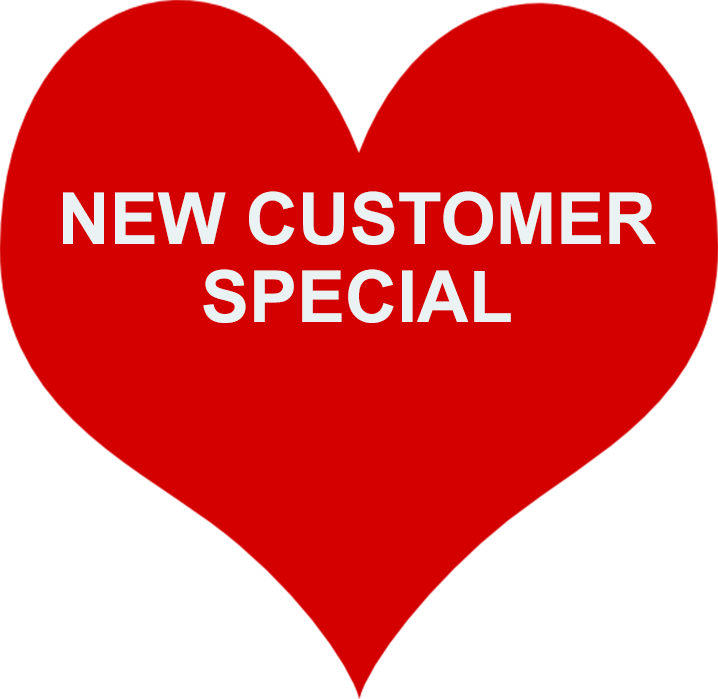 Contact us for a free quote, free sample pack or if you have any questions.